Alan Turing was the mathematician whose cipher-cracking transformed the Second World War. Taken on by British Intelligence in 1938, as a shy young Cambridge don, he combined brilliant logic with a flair for engineering. In 1940 his machines were breaking the Enigma-enciphered messages of Nazi Germany's air force. He then headed the penetration of the super-secure U-boat communications. But his vision went far beyond this achievement. Before the war he had invented the concept of the universal machine, and in 1945 he turned this into the first design for a digital computer. Turing's far-sighted plans for the digital era forged ahead into a vision for Artificial Intelligence. However, in 1952 his homosexuality rendered him a criminal and he was subjected to humiliating treatment. In 1954, aged 41, Alan Turing took his own life. Illustrations note w. figs. and photos on pl. 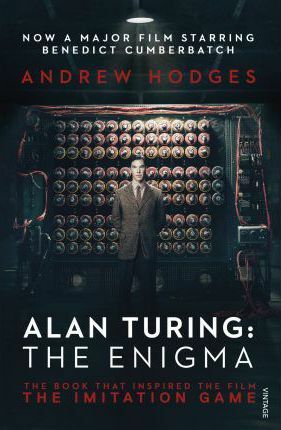 "A first-rate presentation of the life of a first-rate scientific mind"
Andrew Hodges is Tutor in Mathematics at Wadham College, Oxford University. His classic text of 1983, since translated into several languages, created a new kind of biography, with mathematics, science, computing, war history, philosophy and gay liberation woven into a single personal narrative. He is an active contributor to the mathematics of fundamental physics, as a follower of Roger Penrose. See www.turing.org.uk for further material.